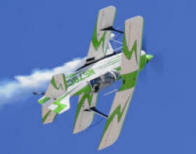 Please note: "Legends Over Madera Air Show 2009", and this website, are not affiliated with any other Madera Air Shows. Friday Children (5 years and under) - FREE! Saturday Children (5 years old and under) - FREE! Sunday Children (5 years old and under) - FREE! 3 Day Pass Adults (Friday, Saturday and Sunday) - $50.00 advanced online sales. 3 Day Pass Children (6-11 years old) - $29.00 advanced online sales only. 3 Day Pass Children (5 years and under) - FREE! $75.00 per day, per person - advance online ticket sales only*. Applicable Airport fees apply, air show admission sold separately, per occupant. On May 29, 30, & 31, 2009 the field will be closed from 10:45-16:00 for all traffic not performing in the air show. $40.00 per RV or vehicle w/ Trailer in the Parking area. Pay when you enter the parking area. Please call to reserve your spot. (limited availability, admission to the show is sold separately). 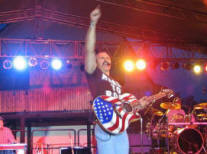 **Friday's ticket will include the Aaron Tippin concert and the Air Show Rehearsal. Performers will practice their entire performance, we cannot guarantee that all performers will rehearse their entire performance on Friday.